Almotamar.net - Two citizens were killed on Friday in a Saudi air raid in Sa'ada province, a security official said. 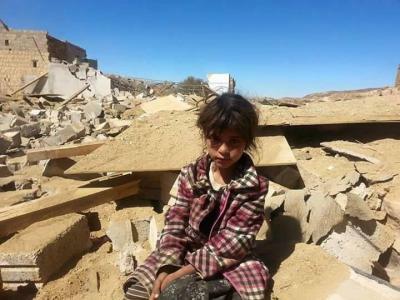 The Saudi-led aggression warplanes targeted Gawr Gamer area in Gamer district in Sa'ada , killing the two citizens in an initial toll, the official added. He said that the warplanes launched two raids on al-Omar in Munabeh border district and al-Manzalah area in al-Dhaher border district in Sa'ada with an air raid. The Saudi enemy pounded a citizen's house in al-Maqrani area in Haidan district with a rocket causing huge damage to the house.